What? Another giveaway? You betcha! I love spoiling you lovely people so of course I have another opportunity for you to win! 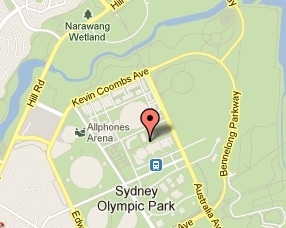 But before we get to that, let's talk about something coming up in Sydney in the next few weeks... The Gluten Free Expo! The Gluten Free Expo is on at the Sydney Olympic Showground on Fridays 24th (4pm-8pm) and Saturday 25th (9am-5pm) of August. It's a free event, sponsored by Coeliac Australia and Coles with other major sponsors Tasty Bite and Simply Wize. Every food item at the show is strictly gluten free, so you can sample and buy til your heart's content and not have to worry! You can expect to find gluten free goodies of every variety including cakes, breads, cookies, crackers, pasta, chocolate, meats, snacks, flours and so much more - just check out their exhibitors list! There will also be cooking demonstrations, information sessions and the master of ceremonies is Miss Universe Australia 1997, Laura Csortan - look at the program to find out more. Simply Wize is a major sponsor of the Gluten Free Expo and to celebrate, they're giving away a gluten free hamper valued at $60.00! 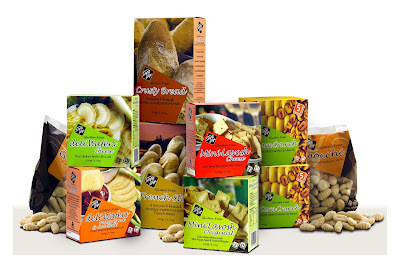 Simply Wize has delicious, great tasting gluten free products including crackers, bread mixes, snacks, gnocchi, pizza bases and more! The lucky TWO winners of these hamper will receive all of the great products you see above on their door steps real soon! All you have to do is tell me - what's the one gluten filled food you wish was gluten free? You may already be able to find it at the Gluten Free Expo! Share the link to this competition with your friends on Facebook or Twitter with a link to my facebook/twitter page and leave a comment letting me know. The giveaway is open to Australian residents only and is open until Thursday the 23rd of August 2012 at 11:59 pm. The TWO Winners will be contacted via email. Make sure I have a way to contact you (anonymous comments with no email address can't be counted unless you send me an email with a copy of your comment to southerninlaw@gmail.com) so I can let you know if you win! This giveaway is now closed. Congratulations to the lucky winners, Amy and Jenna! If you weren't a winner, keep your eyes peeled because there are more giveaways to come! Chocolate Mousse Cake. Rich, sticky, decadent and irresistable. A gluten free version is just not the same. I like Southern In Law on Facebook and I left this comment on the page: I'd love a gluten free Chocolate Mousse Cake. I shared the link to this competition on Facebook. My son would love it if he could have chocolate bars that have a wafer in them just like kit kats. I wish bread was gluten free! Is used so much in so much food i just wish it was easier to eat. I know you can get gluten free breead but its 3 times the price of normal bread and just does not taste the same. It makes eating out very difficult! I really wish donuts were gluten free.... It's so painful to walk past any kind of donut shop with all the yummy smells wafting out and not being able to have one! In particular an original glazed krispy kreme!!! I wish my Mum's pizza scolls were gluten free, puff pastry with tomato sauce, cheese and oregano, cooked in scrolls in the oven, they are delicious and I find myself craving them!!! I like southern in law on facebook!!!! I like southern in law on Facebook! Your blog looks cute as you are publicly telling us updates on your journey as as in law. Well, this is a very good blog for gluten free dieters like me. I would love to hear more from you and also, I would love to see recipes of gluten free deserts. thanks! all the best!